ePublishing Knowledge BaseePublishing Knowledge BaseePublishing Knowledge Base EditorialHow do I search for and edit existing articles? This article provides an overview of how to search and edit existing content. The same process can be used for searching for blog posts. 1.1. 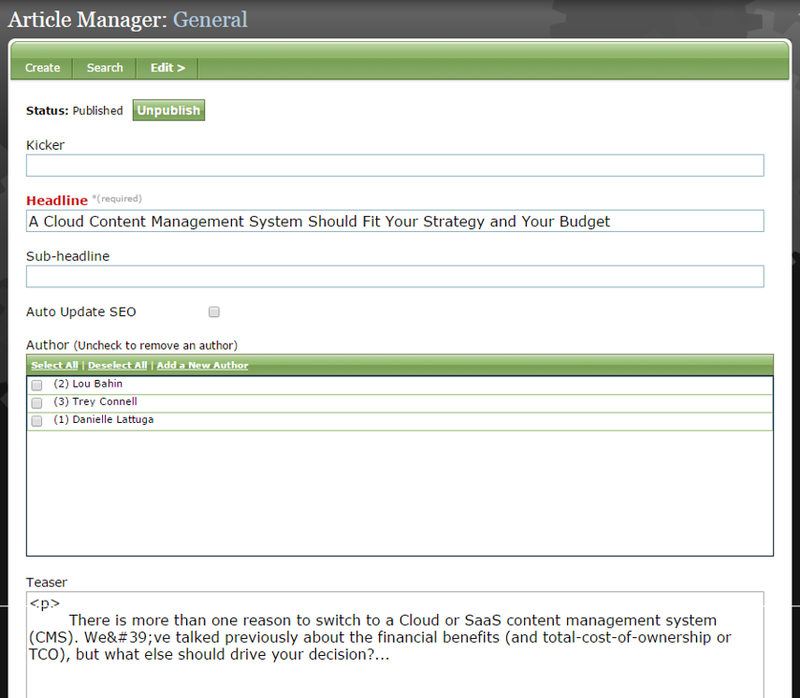 Or you may click on Search while in the Article Manager. Zoom: Or you may click on Search while in the Article Manager. 1.2. 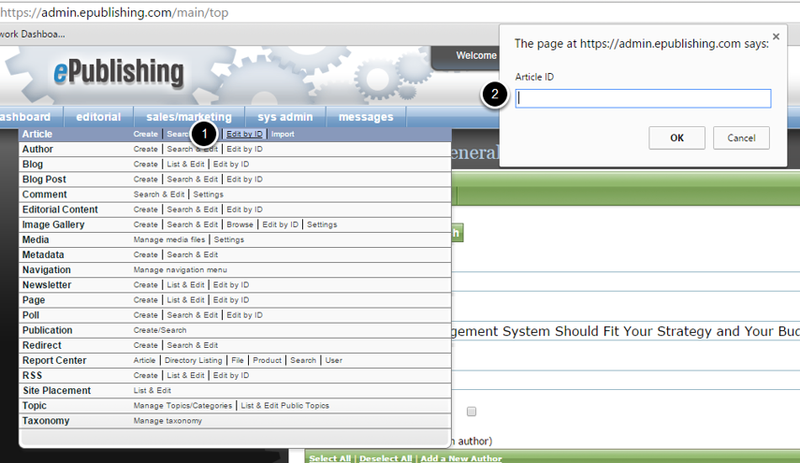 You may also Edit by ID, which will bypass the Article Manager search tool and go directly to the article. 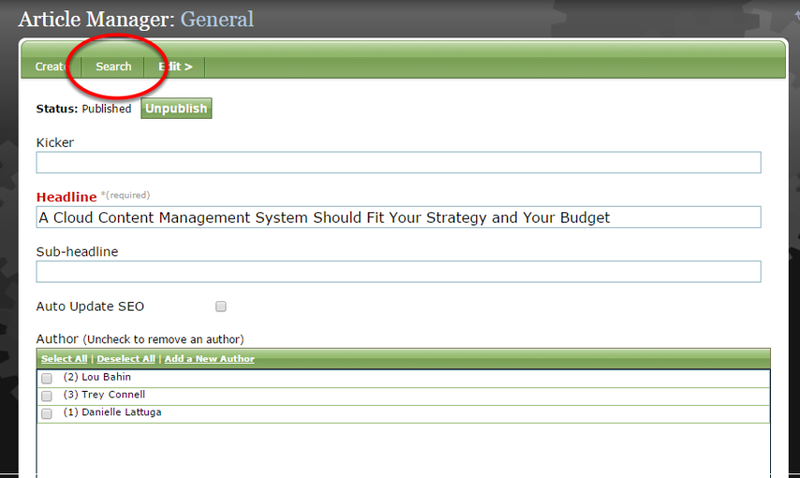 Zoom: You may also Edit by ID, which will bypass the Article Manager search tool and go directly to the article. Click on Edit by ID (1), and insert the Article ID (2) into the box that appears. This will open the article for editing. The Article ID is the number in the URL of the article you would like to edit. 2. 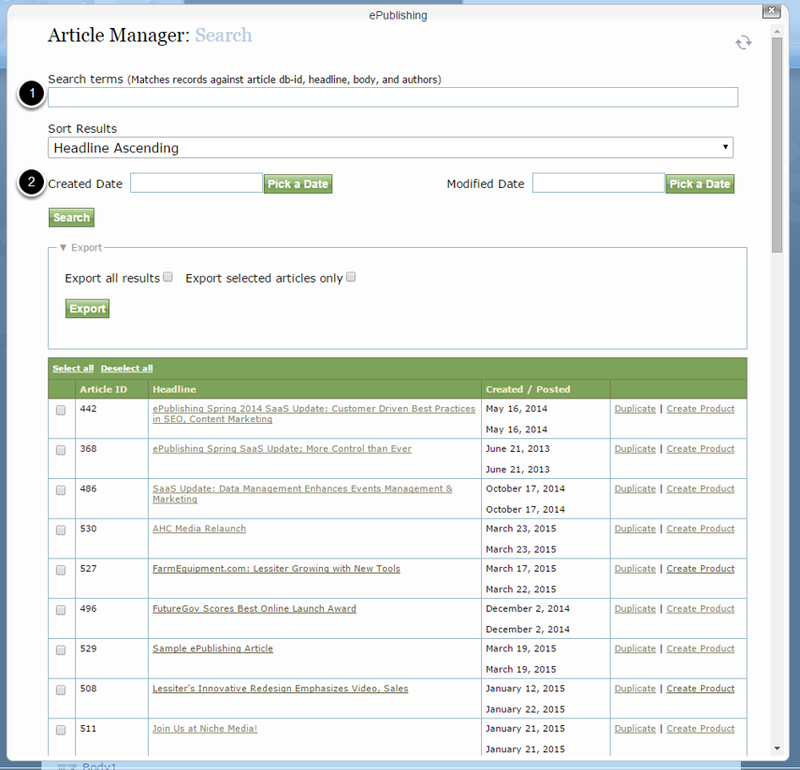 If you have chosen Search or Search and Edit, the Article Manager search tool will appear. 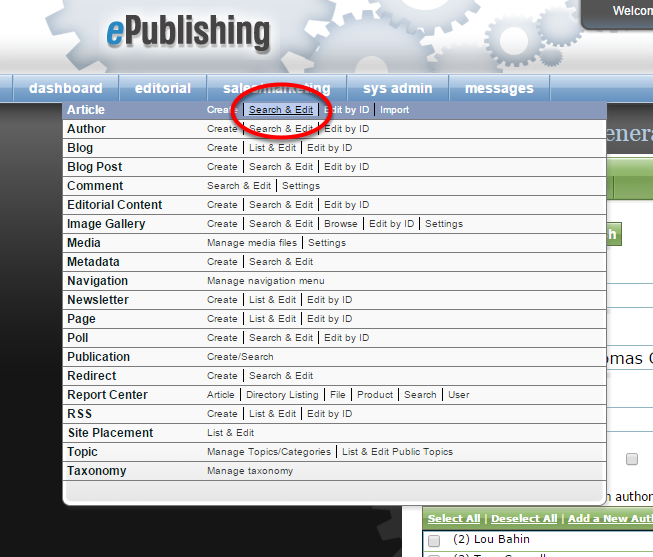 Zoom: If you have chosen Search or Search and Edit, the Article Manager search tool will appear. 4. If desired, you may export your results or just those you select. Zoom: If desired, you may export your results or just those you select. 5. To open your article for editing, click on the headline. Zoom: To open your article for editing, click on the headline. 6. This will open the article for editing. Zoom: This will open the article for editing. Prev: How do I paginate an article? Next: How do I unpublish an article or blog post?